The school year is back in full swing - the loosely structured days of summer now fully replaced by the near-constant activity that school brings. From late August until late May, everyone seems so busy. Busy sometimes feels like a collective hysteria, a need to be constantly doing more, accomplishing more, adding achievements to the narrative resume that is social media. But busy also fuels productivity that can feel really gratifying. Perhaps the difference is personal meaning and what Buddhists call right livelihood, work that causes no harm. That’s why when the orders pour in here at CoffeeSock, and when the to-do list moves onto a 2nd (or 3rd!) 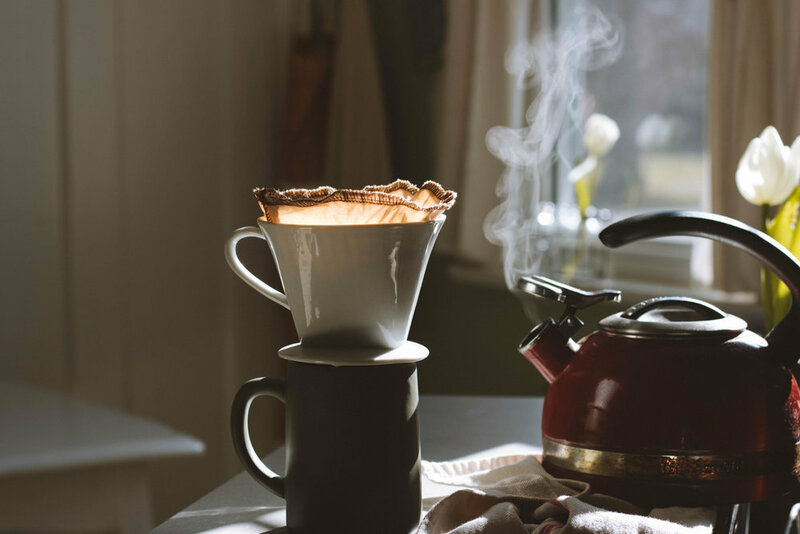 page – when we have to stay late for an order or network after hours – we remember that this is our right livelihood, a business (and busy-ness) that fills a need, reduces trash, and makes a fantastic cup of coffee. We aren’t letting busy totally off the hook though. As we labor and as we plan, we take time to be still too, often in the quiet morning before the school-day rush.